EDINBURG — Authorities now have a second man in custody accused in connection with a drug deal gone wrong that left one man dead. 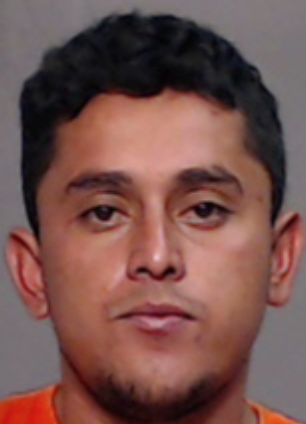 Hector Jonathan Perez, 28, was arrested and formally charged Saturday with capital murder days after deputies arrested a 37-year-old man in the same incident. Perez, who was booked over the weekend, is the second suspect to be charged in connection with the shooting death of Anastacio Rocha Avitia Jr., on May 8, according to the booking report. Rocha was only 37 years old. Last week Juan David Garcia, of Edinburg, was charged with capital murder and remains in custody pending a $800,000 bond. Garcia and Perez allegedly shot and killed Rocha in connection with a drug deal involving about half a kilo of cocaine, authorities said at a news conference last week. Relatives discovered Rocha’s lifeless body at about 11 p.m. May 8 after they became concerned he had not returned. They used Rocha’s vehicle’s tracking system and found him, parked in his car, with a single gunshot wound to the head, authorities said. “Through the course of the investigation sheriff’s Investigators reviewed the evidence and confirmed that Rocha’s vehicle was at a residence located a few streets down from where his body and vehicle were found, on Segura Mendoza Street in rural Edinburg,” the release states. During an interview with authorities, Garcia, who lived at the residence on Segura Mendoza Street, admitted to his role in Rocha’s death, the release states. Authorities have not revealed what Perez’s involvement in the shooting was and a call placed to the sheriff’s office for a response was not returned as of press time. Perez’s bond was set at $800,000 and he remains in custody as of Monday evening. If convicted of the first-degree charge, both Garcia and Perez face up to life in prison.